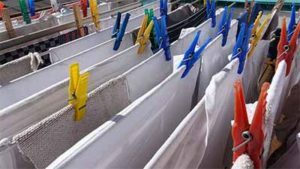 If you are looking for a new business venture either as a full time enterprise or even just as a subsidiary earner, launching your own laundry business is something which is accessible and potentially profitable to a great many people. The tricks of the trade can be learned without excessively technical knowhow but at the same time, as with any business, making a few crucial incorrect decisions can lead to a business’s early demise. If this is an area you have considered getting into or even if you are just looking to start a new entrepreneurial means of earning then what are some of the main considerations you should take into account. 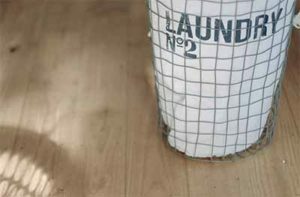 If you will be running a laundry from part of your own property you need to weigh up whether it is feasible. Will you have the space for all of the necessary equipment? Can you compartmentalise your place of work from your home without it interfering with your life too much? Even if these factors are covered your location itself may not be helpful to your business. You need to be within a catchment area of plenty of customers otherwise you will struggle to make ends meet. If you will be using a different premises rather than your own home most of the same factors need to be considered. Will it be fit for purpose and within a good location to supply a decent amount of customers? Whilst taking this into account you also need to weigh up the cost of leasing the premises because if it is too expensive it will eat into your profits so you need to take all of this into account. 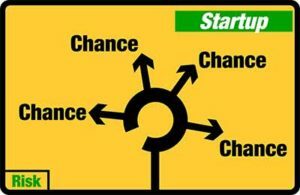 Linking into this you need to create a robust and realistic business plan to ensure that your business is successful. Too many people dive headlong into their own business and think it will be plain sailing without properly planning it out beforehand. You need to decide exactly what services you will provide, you target customer base and forecast your overheads and earnings. The initial outlay for equipment could set you back so much that it takes a very long time before you even see any return on your investment so can you cover the costs over this period of time? Loans and finance can be an option but again will these hold you back especially if any additional costs are incurred which could hamper your repayments? Air on the side of caution and plan accordingly. As touched on above you need to decide exactly what laundry services you aim to provide. You could just set up a small premises which provides self-serve washing machines with some supplementary services. Alternatively you could be washing everything for the customers yourself. Will you need additional staff? Are you confident in your ability to deal with customer complaints as within this business it is highly likely? You could even take the route which I have seen with some laundry services in Bangkok, who actually pick up and deliver the washing from people’s homes. This will put you into a different type of market and has been done successfully across multiple countries by companies such as Laundry Town. However you need to consider the additional staff required and whether your location is suited to delivery. If you are based in a city centre you will probably struggle with van delivery so take all of these things into account.